Have you been missing Diego Loyzaga? If your answer is yes (and it definitely is for us), then today is your lucky day. Diego has pulled back from the spotlight ever since he made his exit from the hit television series "Los Bastardos" back in November 2018. He's also temporarily abandoned his Instagram but is largely active on Twitter. So what has Diego been up to? It seems as though he's been spending a lot of time traveling with his family. He was pictured in Milan, Italy with his mother Teresa Loyzaga on January 26. He also had a me-day, getting his hair done back on January 23. There's no word yet on whether Diego is planning to make a big showbiz comeback but you best believe we're patiently waiting for an announcement. He was part of the ensemble cast of the 2017 horror-thriller "Bloody Crayons." He also made a brief appearance in the Liza Soberano and Enrique Gil blockbuster hit "My Ex and Whys". Still spooky, scary: It’s ’Bloody Crayons’’ first anniv! 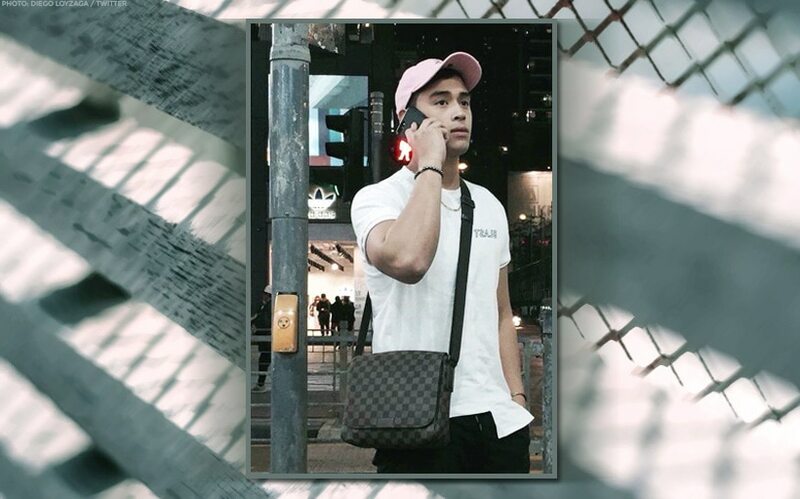 Diego Loyzaga: 'Bad Boy' of Philippine Social Media?